Small in size but big in results we developed & packaged together a small 2 oz. 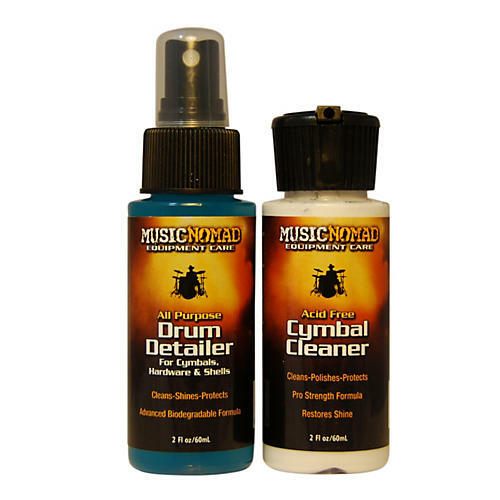 trial size bottle of Music Nomad's most popular drum and cymbal care products give dealers and musicians a trial size of each bottle at an attractive low retail price. The All Purpose Drum Detailer & Acid Free Cymbal Cleaner let you clean and polish your entire drum set.